The efficiency you need… The adventure you want. The 2017 RAV4 Hybrid is for those who refuse to sacrifice. Boasting a compact, aerodynamic exterior and an advanced All-Wheel-Drive system – pairing incredible fuel efficiency with dynamic performance and intelligent innovations – RAV4 Hybrid accepts no compromises. Meet the hybrid SUV with the power to move you. RAV4 Hybrid boasts an innovative 2.5 L 4-cylinder hybrid engine, using a high efficiency Atkinson Cycle to give you a responsive driving performance and impressive smoothness with a powerful 194 (Net Hybrid System) HP. 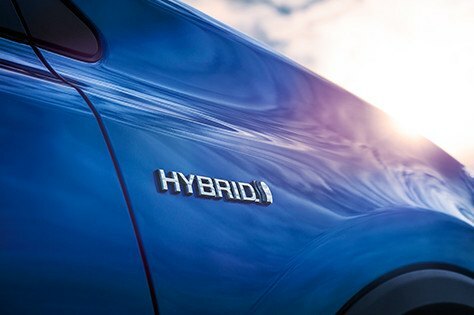 RAV4 Hybrid’s powerful bite goes hand-in-hand with minimal environmental bark, thanks to Toyota’s revolutionary Hybrid Synergy Drive (HSD). The most proven hybrid system in the world, HSD switches between the gasoline engine and the electric motors depending on driving conditions, taking advantage of the benefits of both to significantly reduce fuel consumption and exhaust gas emissions. 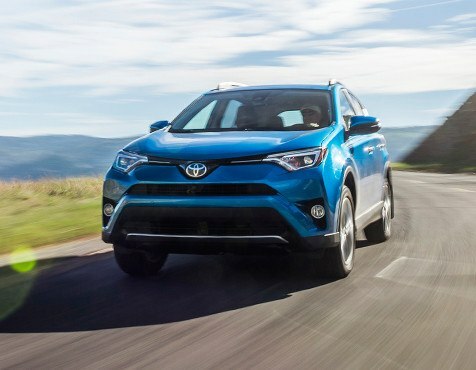 RAV4 Hybrid features a highly efficient Continuously Variable Transmission delivery system (CVT). With almost infinite gear ratios, CVT makes continuous, seamless adjustments so that the ideal gear ratio is used at all times, ensuring that power isn’t wasted in up or down shifts. No gear changes means no jerks or pauses during acceleration, letting you produce a smooth – yet highly responsive – dynamic response. 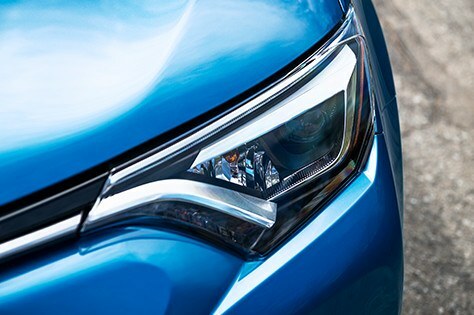 RAV4 Hybrid lets you tailor your drive to the conditions with a choice of three distinct modes. ECO mode helps you save at the pumps by enhancing fuel efficiency and promoting more efficient driving. 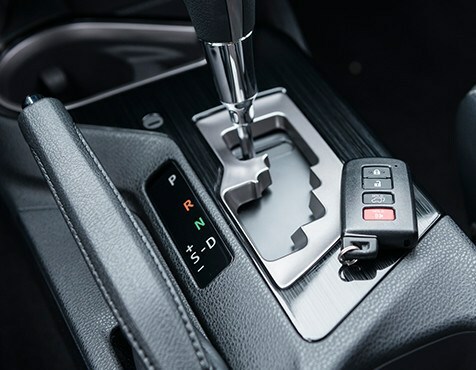 Sport mode ups the fun factor by sharpening shift timing, throttle and steering response, making RAV4 Hybrid respond more crisply to your driving inputs. And EV gives electric motor-only driving for zero engine noise and emissions at speeds up to 40 km/h, especially useful in the early morning, late at night or when in a garage. For year-round confidence across most any terrain, RAV4 Hybrid is equipped with an Electronic On-Demand All-Wheel-Drive System with intelligence (AWD-i). Depending on driving conditions, an Active Torque Control system automatically shifts from two-wheel drive to four, and even allocates more power to the rear wheels to enhance cornering performance. Tackle hills with uninterrupted smoothness thanks to Hill-start Assist Control, which determines if you’re heading up automatically maintains brake pressure, preventing slip and minimizing wheel spin. And when towing a trailer in windy or uneven conditions, breathe easier with Trailer Sway Control, which uses sensors to detect trailer sway and automatically reduce speed.